Stuart Wasser, M.D. (Rockville Centre) - Book Appointment Online! *Please be aware times booked are subject to change* When booking please fill out the necessary paperwork provided. Additional paperwork will need to be filled out at the office due to confidentiality reasons. 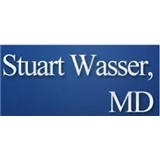 Dr. Stuart Wasser, an Ivy league educated and trained physician, has worked in Long Island, NY for 20 years. He has dedicated his practice to the treatment of addictive disorders. His focus has been on alcohol, pain medication and tranquilizer abuse but the abuse of all drugs is treated. Co-occurring medical and psychiatric disorders are also identified and treated.